Any clue as to where to buy a knob and screw for subject fuel valve? They were missing when I bought the tractor. Replaced them. One hour of work, they had vibrated off somewhere. 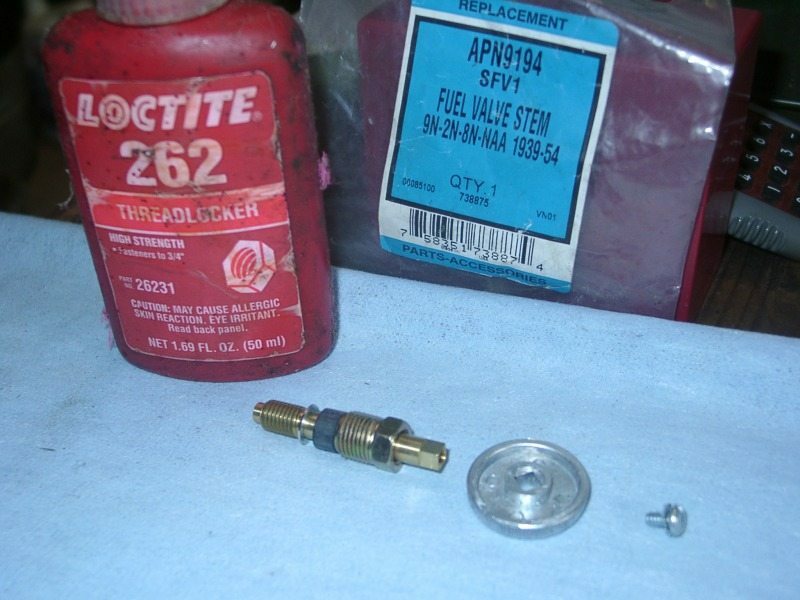 You can find these fuel valves at just about every Ford Tractor parts supplier, however it matters where you buy from. It is a $6 part at the reputable places like JUST8NS (see LINK below) STEINER TRACTOR, and Dennis Carpenter. It is the only working/wear part on the fuel sediment bulb assembly often due to the rubber seal on the stem getting worn out and leaking. Unless the threads on the Bulb are mucked up, no need to replace the entire assembly. I also recommend to apply a dab of Thread Sealant on the 8-32 screw that fastens the knob to the stem shaft. The knobs have a tendency to loosen up in the field and fall off otherwise. No worry about having to ever remove the knob again. When its time to replace the stem again, simply toss old stem and replace with new. By the way, you posted on our IMPLEMENT forum -no biggie, just wanted to let you know you'd get a reply on the N-BOARD sooner. Thanks. I did apply some Loctite, so we'll see how that does. The stem I have does not accept an 8-32 screw.